The most feared encounter is that with a sniper when it comes to law enforcement and military professionals placed in harm’s way. Distant and deadly, equipped with a long rifle mounted with a high quality optic sight, the face-off rarely favors the searcher or the unsuspecting adversary. The tactics and techniques of a shooter, including employing executive protection countermeasures [to defeat a sniper], are time-honed and uppermost in street savvy law enforcement officers and FBI Special Agents. Avenues of approach, cover, concealment, obstacles, camouflage, terrain, kill zones, and target selection are but a few of the considerations constantly processed by a sharp shooter or adversary. Map use, aerial photos, GPS, and compass. As an example the Washington Field Office’s Specialized Weapons and Tactics (SWAT) Team consists of 42 team members/all with different specialties. Each volunteer member is specifically selected for the SWAT Team from a cadre of experienced special agents who meet the rigorous qualifications and prove their expertise in marksmanship, physical fitness, judgment, problem-solving, communications, and successful completion of other physical and mental challenges. Once selected, each member must complete both the SWAT and Weapons of Mass Destruction (WMD) basic training courses. Specialized training is available for snipers/observers, mechanical/shotgun breachers, tactical helicopter/rappel masters, tactical trackers, and emergency medical technicians. The SWAT team plans and executes search warrants and arrests and conducts other operational missions with a higher-than-normal risk to innocent persons and suspects. Team members perform weapons and tactical training every month, honing their skills with semiautomatic handguns, shotguns, and assault and sniper rifles. 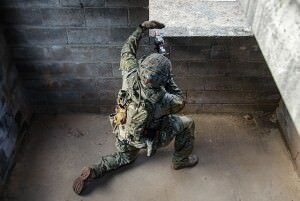 They also rehearse variable problem-solving methods by physically practicing techniques for close quarter combat, felony car stops, and dignitary protection details. Directory members can be extremely helpful to anyone seeking information or requiring a professional opinion concerning sniper or counter sniper actions or operations. Looking for an expert regarding these tactics and/or sniper, visitors need only use the website’s search feature, entering the appropriate skill and geographical area of preference to identify an FBI specialist and thereafter make contact using the information provided.